When inspiration strikes and you are about to write down your stream of consciousness or a precise idea, you absolutely need to know how to do it right! This guide will teach you about the forms of poetry, how to write a love poem or a ballad. There are also actual poetry examples, writing tips, and helpful topics! If you are struggling with your poem and do not know what to write a poem about or want to know the difference between this or that type of poetry, this guide is for you! We are certain that you have read poetry in school or during your free time. Maybe there is a girl or a boy you have a secret crush on, so the poetry just comes naturally? You probably know that most poems use figurative language and symbols to tug at our heartstrings, both in a romantic way or not. Let us start with a definition of what a poem is and what forms of poetry are out there! How to Write a Ballad? What to Write a Poem About? Poetry can be defined as a form of a literature that mainly uses rhymes, symbols, and figurative language in a form of verses to convey one’s emotions. In most cases, poetry conveys the meaning with the help of motifs and symbols. Moreover, they are also open to different interpretations if the poem itself is ambiguous. Poetry has been around since the ancient times. For example, The Epic of Gilgamesh (oldest surviving epic poem) was written in 2100 BC in Sumer in Mesopotamia (Present day Iraq). Other ancient poetry includes the popular Iliad and the Odyssey from the Greek civilization. Of course, even the lyrics of the popular modern songs are also considered as poetry! Still, what makes any type of poetry stand apart is a presence of certain “requirements” and the “rules” that vary from poem to poem and from culture to culture. As an example, there is Shi, which is a Chinese form of poetry that requires a four-character lines style. Next, we have Shakespearean Sonnets that require a specific rhyme scheme. To put it short, if you have to write a Sonnet or a Chinese-styled poem, you have to know and understand the difference! 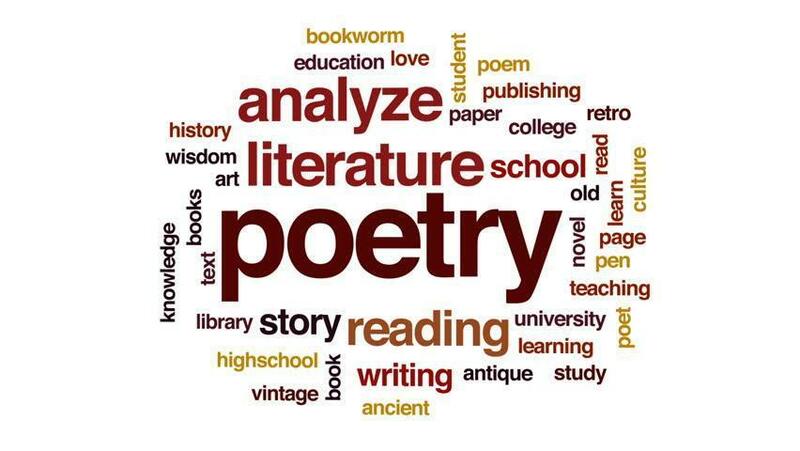 Looking through the most popular college tasks related to poetry and literature, we have picked the most common forms of poetry that are commonly discussed. If your school or a college task relates to analysis or even writing of a sonnet, ballad or a love poem, this little guide will help you to feel more confident (because you will know where to start!). Ballad is a form of poetry that is written in form of a song. Such poems are often defined as the songs of narration, telling a story that is usually composed with the help of 13 lines. The rhyming pattern (the way a poem rhymes) is ABABBCBC. It consists of couplets (two lines) of rhymed verse, each of 14 syllables. Ballads are especially popular in the British Isles from the later medieval period until the 19th century. Ballads are also widely used across Europe. It should be noted that the word “ballad” originates from the French word ballares, which literally means “to dance”. Epic comes from the Latin word epicus, which has originated from the ancient Greek adjective epikos (epos, meaning “word, story, poem”). Epics poetry is a “lengthy narrative poem” in which it tells a story about adventures and the achievements of men and women. It is a form of Japanese poetry. A haiku should be composed of 17 syllables and three verses. At the end of the 18th century, it was named by Masaoka Shiki, a Japanese writer. Interestingly enough, haiku was previously called hokku. We all have heard of William Shakespeare, but did you know that sonnet is a form of poetry that has originated from Italy by Giacomo de Lentini, a poet? It comes from the Italian word sonetto (Old Occitan sonet, a little poem, from son or song, from the Latin word sonus or sound). A sonnet is a poem that is composed of 14 lines following a strict rhythmical pattern and structure. Just think of Shakespeare’s Sonnets to get an idea! If you are struggling with a sonnet, give us a shout below! A quatrain is also known as a stanza or a complete poem. It is composed of four lines. This particular form of poetry has been used by several civilizations such as Ancient Greece, Ancient India, Ancient Rome, and China. A quatrain poetry is still written and published even today! One of the secret tricks that most literature Geeks use is reading the poetry before they start with a poem of their own! You have to get inspired and bring yourself in a special mood! You can choose to freewrite. The task is to just write whatever comes into your mind. You can even write, “I don’t know what to do. Send help!” Just write your heart out and see where it takes you! You can try to search for the writing prompts or pictures online to help you squeeze out those juicy ideas from your brain. Think of your hobbies! Play a video game, read a book or do sports! For instance, I played a video game and the next thing I knew, I was already writing a rough draft of my short poem. I recommend you to try this method out! If you play a musical instrument, just play some chords and write down the words that come to mind. Even a voice recorder or your phone may come handy! Note: Remember that we all have our own ways of conceiving ideas. 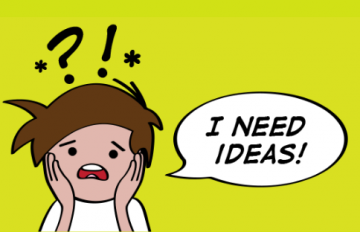 Don’t fret if you cannot come up with any ideas! Give it some time! Sometimes, an idea comes to our minds when we do not really seek for it and do not force ourselves to write. 3️⃣ Choose a poetry form! Ask yourself whether you want to make the verses and stanzas of your poem rhyme. It could be that you like Anime and would like to write a Haiku poem instead? I would suggest trying writing a free verse poem before attempting the more challenging forms such as a Sonnet or following a specific rhythmic pattern. Use figures of speech to express what you feel. Try to use concrete words as much as possible. In other words, be specific! You can’t just say “I’m happy” or “I’m sad”. Expound on it using figurative language or symbols. Our meeting was only a fleeting moment of a mirage. I’m sad as a bird locked in a golden cage. Happiness is just a word, a thorn of a rose that makes us feel hurt. It is also best to avoid the use of clichés to intrigue your reader, although some people would prefer to add clichés in their writing for a special effect. However, if you want to make your poem stand out, you have to replace them with something more creative and distinct. As a matter of fact, it is one of the most challenging tasks that takes time and patience! Always start your work by turning to the drafts! Once the poem is complete, make sure to read it silently or allowed to see how it sounds and what emotions it brings up. In case you feel confident enough (not all of us do! ), you can have your friends and family members read your poem for the feedback. If you’re part of a poetry club or a group, you can even show it to other members. Remember that each poem asks to be read and this is what they are written for in the first place! Like we always say in our guides, “Revise what needs to be revised.” Be prepared to have some of your precious ideas removed for the sake of making your poem sound and look better! 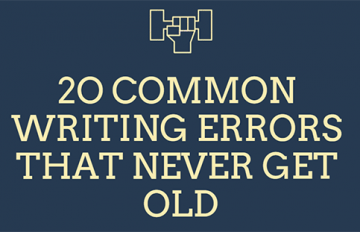 Make sure that the final draft of your poem is free of grammatical errors! Note: This type of poem can focus on both the positive and negative sides of love! Obviously, if you are going through a heartbreak or you are in a college rock band, feel free to write a poem about a heartbreak. Still, we are going, to be honest with you: a love poem is not solely meant for your crush or a significant other. There are other forms of love than romantic love. You can also write a love poem for your family members or friends or even for an object that holds a significant meaning for you like a town of birth, a place on Earth or an old house that exemplifies your childhood. A love poem is a perfect gift for an anniversary, birthday, or any special occasion. Either way, introspect, brainstorm, and find out who your target audience is. 2️⃣ Read, choose a form, and free write! How has this person made your life more special? If it is the place, why do I love it so much? You can always make a list of emotions or a mind map to organize your thoughts. 3️⃣ Write a rough draft! As usual, it is best to sprinkle figures of speech in your love poem and avoid the clichés. Do take note that your reader may interpret your clichés as “too corny” or “too sappy”, which is far not what you would like to see! Of course, avoid making your poem too depressing. Try to keep things fresh and positive even if things look and sound way too bad. Remember that you are free to add some light humor to your love poem. What really matters here is that you are writing this poem for someone you dearly love. Always remember, poetry is responsibility and your task is to send out the good vibes. Remove unnecessary phrases or words. Grammatical errors should not be present in your love poem. If you are happy with the finished product, it is the time to move on to the next step. You can purchase cards/stationery in a bookstore or you can make one yourself. Write the love poem in the card. Next, give it to a special person and watch him/her smile. To whom are you going to dedicate your ballad? Are you writing a ballad for yourself? What story will your ballad tell? Like the poems, ballads always tell a story, but you can write about anything: memorable experiences, love, friendship, world issues, and so on. In order to get inspired, you can search for ballads on Google, YouTube or visit your local library! Try to follow the usual structure and rhyming pattern of the ballad. Alternatively, you can create your own pattern if the rules make you feel too restricted. 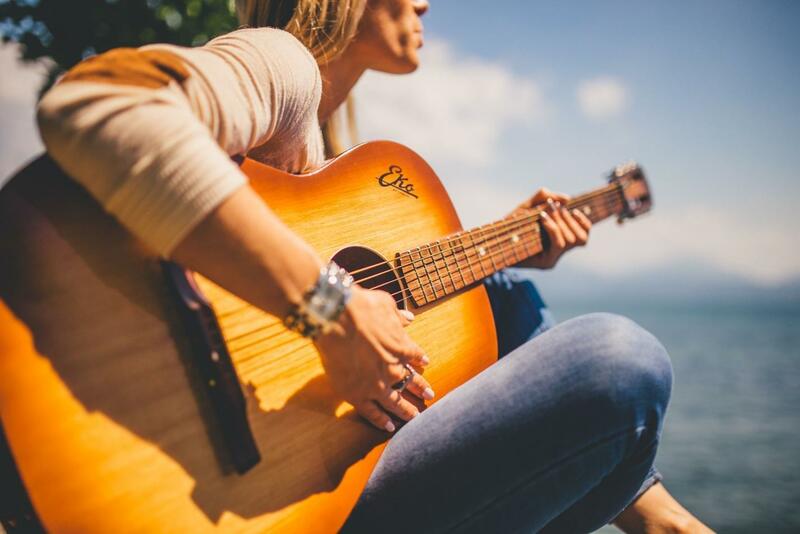 Start with a hook and introduce the main character/characters of your ballad. Don’t add too many characters and plots in your ballad. Focus only on the main plot of the story. 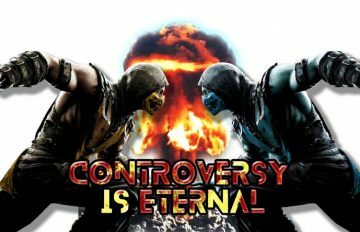 It should have a beginning, middle/conflict, and an end. The chorus is the “content” of your ballad. Try to write a memorable line that correlates with the overall theme or story of your ballad. 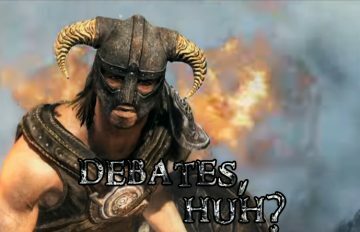 You can make your characters talk in your ballad. Avoid making their dialogues too long. Write a powerful conclusion to close your ballad. It can be your main character’s realization or the moral of the story. As always, remember to proofread your ballad and check it for grammar and typing errors! 3️⃣ Compose and make it special! This is only a bonus and an optional step. If you are a musician, turn it into a song by adding chords and melody. Start with a piano or an acoustic guitar for that “classic” feel! Doing so, you can record yourself singing the ballad or you can perform it in front of a special person in your life. Most adventurers know me by my beaming smile and sunshine bright hair. Cheerful, like a summer’s day. Sweet, akin to a kind and innocent child. There are curious souls who request me to unveil myself. However- I decline- for I do not wish to reveal what’s underneath the mask. I sell my loots and potions to adventurers when brightness embraces the city with its radiant arms. Illuminating the adventurers’ lives; bidding them an enthusiastic “have a safe trip!” like a chirping bird. I take my mask off when the sky is sprinkled with glittering gemstones. My shell is empty and vulnerable; My strings are not attached to anyone. I let the tears cascade, knowing that no living spirit will enclose me with its warm and loving ghostly arms. My mask conceals the truth. While their ignorance is my safe haven. Choosing a topic for your future poem can be a daunting task, especially if nothing seems to come to mind. In order to help you relax and free your mind, we came up with these diverse topics, divided by subjects. After all, the sky is the limit, unless your teacher has already provided a set of topics for your class to write about! Hobbies (Ex: Swimming or chess). A poetry slam is a competition in a spoken poetry. The poet does not need any props or costumes in order to perform. He/she (or sometimes with a team) has to recite the poem on stage in front of an audience. An experience that shaped you as a person. Your “superhero” (Figurative, Ex: Parents). The youth’s role in the world. Looking through our vast essay database, we have picked four interesting topics related to poetry that will serve as a further guidance and inspiration. Save yourself some time and read on! 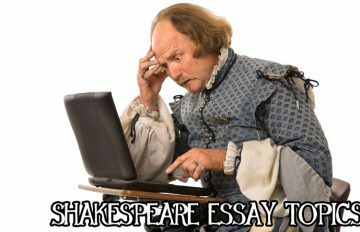 Critiques of Sonnets: Sonnet 130 and The Theme of Pain – This paper tells about how a topic of loss, heartbreak, and pain is expressed in a classic Sonnet poetic form with explanation and analysis! “Song of Myself” by Walt Whitman – A very deep poem with a romantic vibe that will surely help you to get an idea of what makes the poem important and what the poetic devices are in practice. 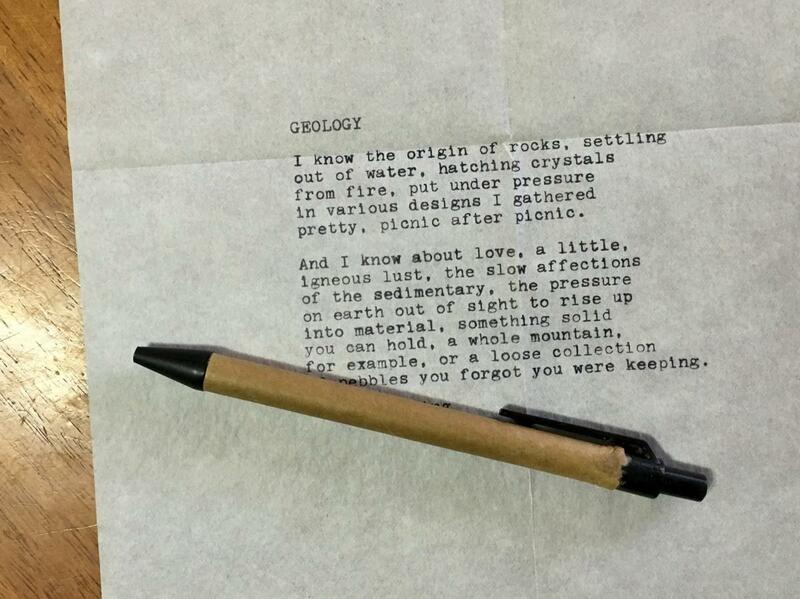 A Song about California – As we have mentioned, an object of your love poem can be a geographic place. There is no doubt that writing of a good poem takes time and (a lot of) effort to craft a good poem! 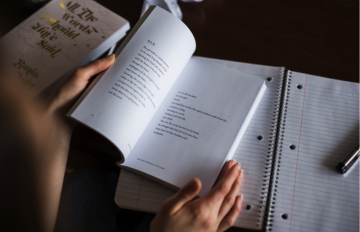 Nevertheless, we hope that this poetry guide has inspired you to write your own poem and learn more about how poetry is being made and what types of poetry are there. That is, if poetry is your niche! If not and you are still stuck, just fill in the simple form below, tell us of your task, and let our poetry Geeks help you achieve the best results!